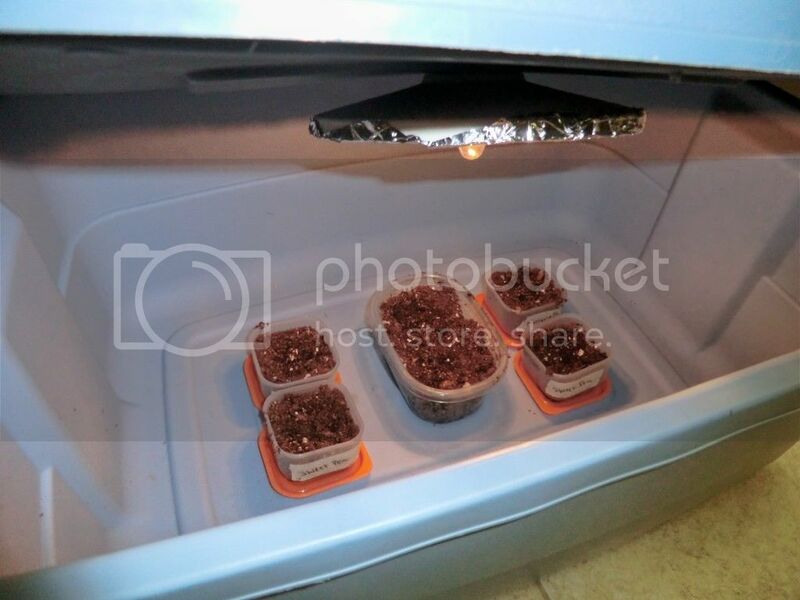 I spoke to a friend today who offered me a couple pics of how she germinates seeds. She said its worked year after year. What do you guys think? Something I should try? Not bad. 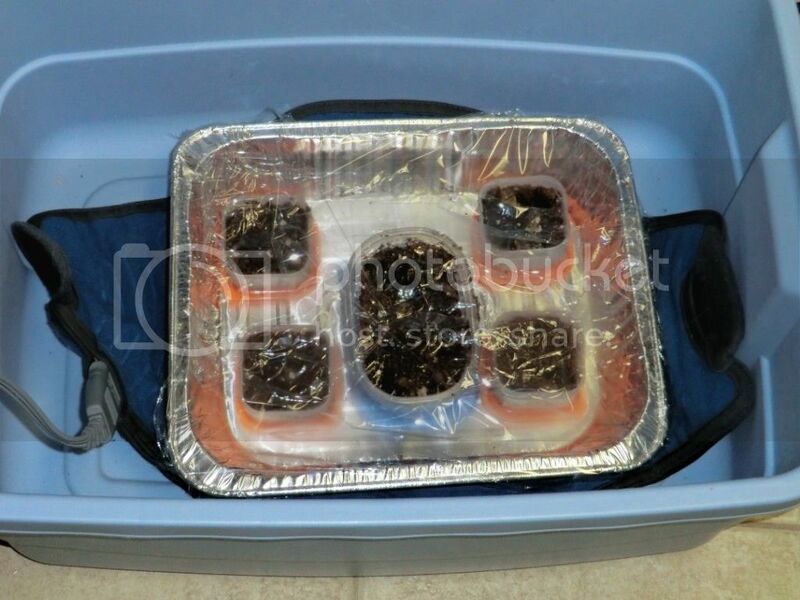 Make sure to take off any covers or wrapping on top of the containers once the seeds have sprouted. This is really crucial. As for the light it should be much closer to the plants. But it also depends what kind of fixture it is. Sounds like an incandescent light. I don't think it is helpful other than probably giving the plants some warmth. Yeah that is why I said it depends on the light fixture. Some fixtures like metal halide get hot and can fry plants. Fluorescent lights are not really hot. In your other thread I did something similar to this. I was using window lights and even outdoor sun. But because the plants are young/tender I could only position them to receive morning sun for about 2-3 hours. At this rate the plants did not grow really strong. So I just bought a tube fluorescent light fixture with day light bulbs. They grow much better this way. But I mean if you don't have the cash or space for it, windows and morning sun works. Just your plants grow slower and uneven. It really comes down to how much you are growing and what you are growing. For me buying a fixture is worth it, but if you are only growing a few plants it may be a big expense. If you are only starting a couple plants like in the picture, I would go buy a 2' 2 bulb fixture with 6500k bulbs and get those puppies right down just 3" or so from the tops of the plants. You can get the bulbs and fixture for under $20 at Walmart or a hardware store. And you can use it over and over again. My 8 year old used two of those fixtures and grew a green pepper plant that made some of the best bell peppers I have ever had.